Basque small plates along with fun cocktails and a hopping scene in the Castro's Swedish American Hall. 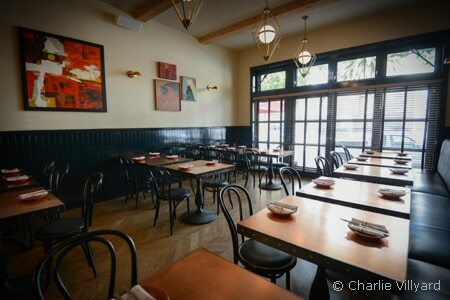 : Aatxe is the charmingly modern, ground-floor Basque restaurant in San Francisco's iconic Swedish American Hall. Chef Ryan Pollnow crafts a menu heavy on smaller dishes. Pintxos are single bites, including a sweet-savory pork pringa with sherry and almond, and earthy, smoked quail egg with mushroom. Conservas include marinated and pickled seafood, and a cheese and charcuterie selection focuses on Spanish cheeses, house-made charcuterie, and jamón Ibérico imported from Spain. Tapas selections are a step larger, with a standout trumpet mushrooms a la plancha as well as more traditional shrimp in garlic oil and patatas bravas. The cocktail menu offers a unique selection of gintonic, or gin and tonic, with different gins paired with tonics according to flavor profile. The wine list offers almost exclusively Spanish pours, as well as dry cider. The space sparkles with mirrored décor, a lively bar and animated conversation, while a bar and live music venue in the basement keeps the scene hopping. 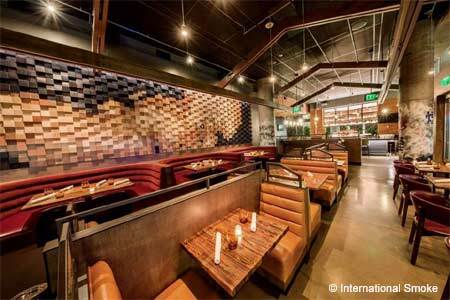 Find all the new San Francisco restaurants that have opened recently with GAYOT's round-up.